Please note: For more information; Southeastern Railway operate domestic rail services. Booking your train ticket ahead of your journey can save you up to 39% on your national rail tickets. e.g. From: London To: Birmingham. Ebbsfleet International station operates two separate train services, the high-speed domestic train service and Eurostar International trains. Ebbsfleet Railway Station, (map) 17 minutes by train to London St Pancras. Gravesend Railway Station, (map) *2 minutes by train from Ebbsfleet station. Dartford Railway Station, no direct trains to Ebbsfleet. (map) *Only accessible by Bus service. Greenhithe Railway Station. (map) *Only accessible by Bus service. Northfleet Railway Station. (map) About 15 minutes walk to Ebbsfleet International, accessible by Bus service. Several passenger train stations are located near Ebbsfleet, commuters can arrive or connect via other local railway stations to many London station, such as Charring-cross, London Bridge, Waterloo, Cannon Street and Victoria. *Travel by bus to Ebbsfleet and the International railway station. Highspeed passenger services operate between Ebbsfleet International, London and Kent coast. 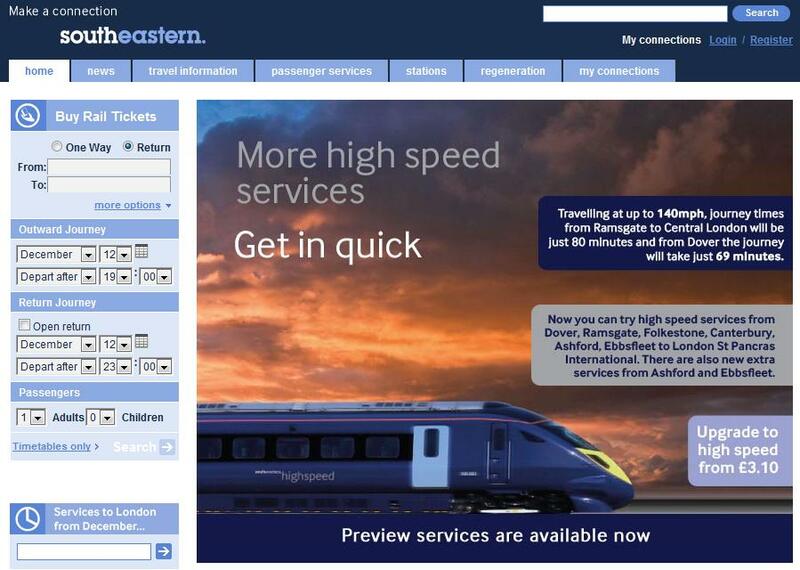 Commuters can connect trains to Europe easily using National Rail (SouthEastern Railway trains) accessible by travel direct via Ebbsfleet station. Ebbsfleet operates as a "Park and Ride" facility, with 6,000 car park spaces and ultimate space for 9,000 vehicles, meaning parking is never an issue and commuting time is massively reduced for users throughout the South East. 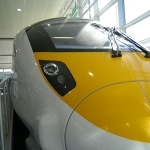 Highspeed train services offer 17 National railway stations direct high speed access to Ebbsfleet International, connections via London St Pancras directly to station all over the UK. On-peak and off-peak high speed services operate daily, with 200 trains scheduled on weekdays. The new fleet of 29 trains reduce the journey times between Kent and London by 40% to 70% of the standard rail journey. Commuters are connected via the Fastrack bus service to other local train stations and local attractions.Domestic highspeed train services have full timetables to transport commuters to other local National Rail stations. 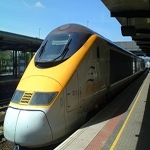 The domestic trains, which offer highspeed trains to St Pancreas, Ebbsfleet and Ashford, run in addition to the international Eurostar railway services to Europe. The rail services share the train line, but have full independence of each other, with the exception that Eurostar does not stop at Stratford International. Highspeed services run by Southeastern High Speed began, taking passengers at 140 mph from Ebbsfleet International to London St Pancras International in 18 minutes and Ashford International in 20 minutes. 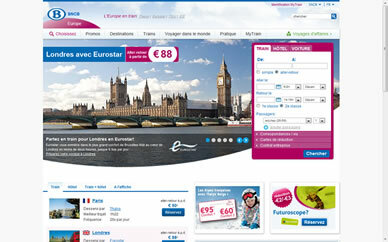 Direct travel to main station destinations in Europe, low cost National Rail tickets to Ebbsfleet are available for traveling from elsewhere in the UK. Otherwise Free travel has been available between Stratford International station and St Pancras International.